Rowen Hunter Bolan was born October 18, 1995 and went to be with the Lord on October 31, 2018. He is survived by his parents, Jack and Sharon, his brother, Levi, his grandparents Jack and Linda Bolan and Paul and Bonnie Robertson as well as numerous very special aunts, uncles, and cousins. Hunter was a kind and gentle soul who loved his family and friends. 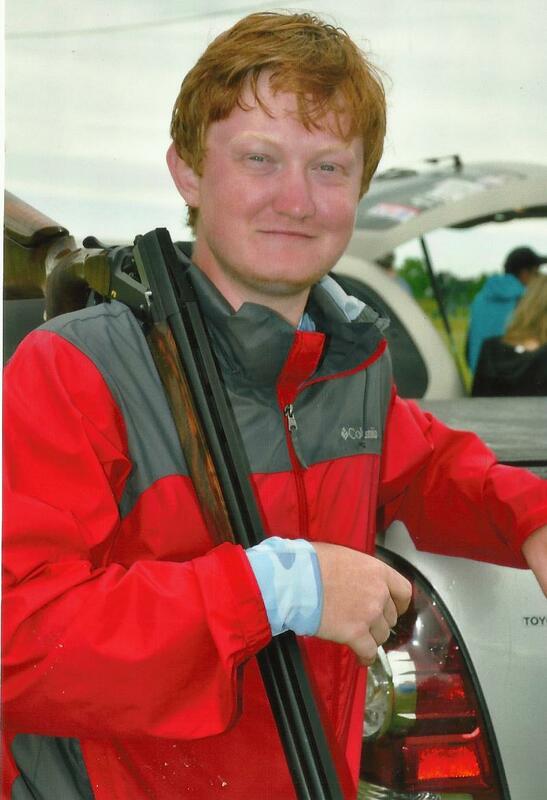 He was passionate about hunting, fishing, cooking, trapshooting, and working on the farm. Above all Hunter loved spending time at home with his dad, mom and brother. Even though his family and friends miss him terribly, we are at peace knowing that he is in the care of our precious Savior. A funeral service will be held at 11 a.m., Saturday, November 3, 2018, at the Browning-Duffer Funeral Home in Keysville, VA, with interment to follow in Ash Camp Memorial Cemetery. The family will receive friends one hour prior to the funeral service at the funeral home. The Browning-Duffer Funeral Home in Keysville, VA, is serving the family. I’m so sorry. My heart is heavy. May God be with u all at this difficult time. I am so sorry for your loss My thoughts and prayers go out to you and your family..
Sharon, Jack and Levi we are lost for words to describe how deeply sorry we are for your loss. Hunter was such a joy to be around as a student at VES! We all loved him! My heart breaks for you all and I pray that God wraps his loving arms around you during this difficult time. Prayers of comfort during this time. May you feel the loving arms of God around you. Our heartfelt condolences from the Baldwin family in Victoria. I am so sorry for your loss. Hunter was such a kind young man. Prayers for all! Sharon, you have my deepest sympathy. I pray that God will give you strength in this your time of bereavement. My family sends our love. My deepest sympathy to Hunter’s entire family and his dear friends. My sincere condolences to the Bolan family,friends and all that knew Hunter. My thoughts and prayers are with u all in this time of bereavement. There are no words that I have to tell you all how very sorry we are for your loss!! Madeline was very upset and it is such a great loss of such a good young man! Please let us know if there is anything I can do for any of you at this time! Hunter was my friend. I am so sorry for your loss. Please know that you don’t mourn alone. Know that Hunter touched the lives of everyone he met. I can not begin to deceive the hole in my heart with his loss. I will pray for you and your family. I here for you and your family. Jack and Sharon so sorry for your loss, if you need any thing just let me know. Prayers of comfort are with you. God’s blessings. God’s love be with all of you during this difficult time. So sorry for your loss. I’m unable to attend the service, but know that I will continue to pray for your comfort and peace. Love all of you. God Bless! So sorry for your loss. Love and prayers for you all! So sorry for your loss. Our prayers are with you all . Prayers and sympathy to Hunter’s family and friends. Our heart aches for your loss. My heart breaks for you. Hunter was the kindest,gentlest young man. We all loved him. He always wanted to help others and now he’s a hero to so many. Now he’s with Jesus,safe,happy and at peace. You’re all in my most heart felt prayers and will continue to be. We love each one of you. Hunter, You are in God’s hands now. Be at peace. I am so sorry. We are praying for you and your family. Sorry for your loss. May God bring you comfort and peace . Please accept our deepest condolences and know that our thoughts are with you during this difficult time of loss. If there is anything we can do, please do not hesitate. I am so sorry for you loss and wish I could find words to comfort you. May God strengthen you through your bereavement. So very sorry to hear about your loss. Nash and I were always impressed with Hunter’s character, leadership, good nature and his example to the younger members of the Freeland 4-H club. The world is a lesser place without him and he will be greatly missed. We are keeping you all in our prayers. I am so sorry for your loss. My son Daniel knew Hunter from working at the farm. He is very upset and shocked. I hope he will be able to come to the service today and find some peace. I am praying for your family and his friends. May God watch over and comfort you all. From Juanita, Myself and the entire Rohler family we send our prayers and love to you all. We love you. 529th Combat Sustainment Support Battalion. The 529th CSSB family sends our condolences, prayers and continual support to your entire family. We stand prepared to support you in any way during this time as always. Much love from your National Guard Family. I am so sorry for you loss and prayers of peace and comfort are lifted for your family. So very saddened to hear of your loss. My thoughts and prayers go out to his family and friends. May you find some comfort knowing that he was loved by so many people because he truly was a special young man. Our hearts go out to you and your family with the deepest of prayers. May God give the strength that you need on this day. Praying for the strength. My deepest condolences. Hunter was truly a joy and will be missed by all. Lifting you all up in prayers. There will never be any words to ease the pain of this sort of loss, but knowing he is in a far better place makes it a tad bit easier. I am so sorry for the pain and hurt and sorrow you will always carry! What a sweet sweet Mama this young man was privileged to have! Love and hugs to you all! Praying for you and your family. May the Lord be the God of all comfort and grant you the peace that passes all understanding. Will and I are so sorry for your loss. You and your family are in our prayers. I am so sorry for your loss. Hunter was such a sweet young man and will be missed by all that knew him. May the Lord bless and sustain you in the days and weeks ahead. I had the pleasure of knowing Hunter since he was five-years-old. He was always inspiring with this quiet smile that brought me peace. May he now have the peace that loving him still brings me. My family and I will love him forever. Your family helped build mine. We’ll be eternally grateful. May God bless you today and always. Sharon, My heart breaks for you and your family. My prayers are with you. Linda and family, was so sorry to hear of the death of your grandson. I know many are heartbroken.. May God’s grace be with you all.